Happy Friday! Before I post an indulging (yet delicious) food item, I want everyone to read the article written by our good friend, Sasha Blair-Goldensohn. Eight years ago, Sasha was hit by a tree in Central Park, and is wheelchair bound. His op-ed in the NYTimes from Wednesday is an eye opener, so please do so. I also highly recommend watching the video that accompanies it. Thanks in advance for reading it. I am constantly on the search for a “healthy” dessert. While I am well aware of the effects of sugar …..I still love nibbling on something sweet at the end of my meals. Call it an addiction, or a vice, but it is a habit that I can’t stop. 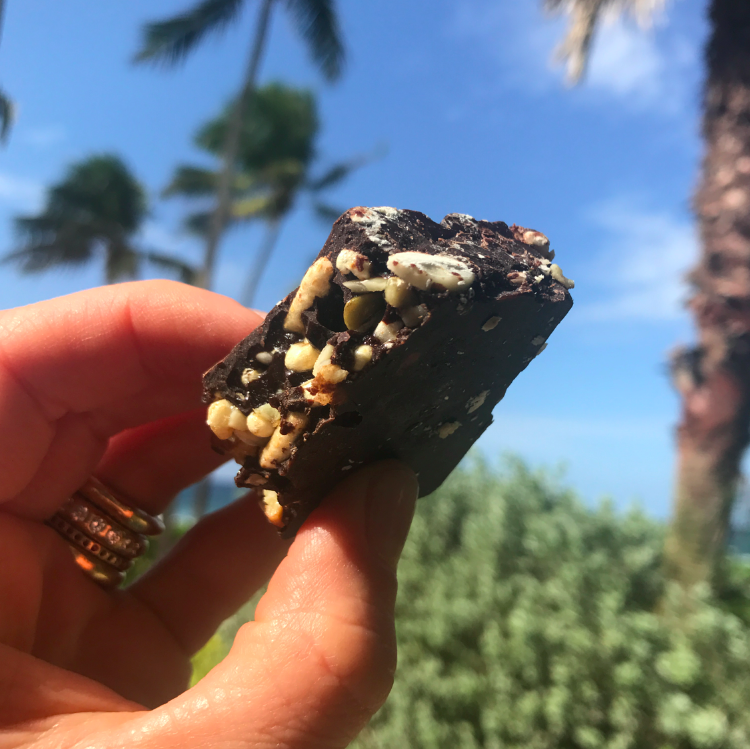 So these raw chocolate energy bars are perfect. Raw chocolate, sweet, nutty, gooey, and great. Romantic rawmantic, yes, handcrafted with love. 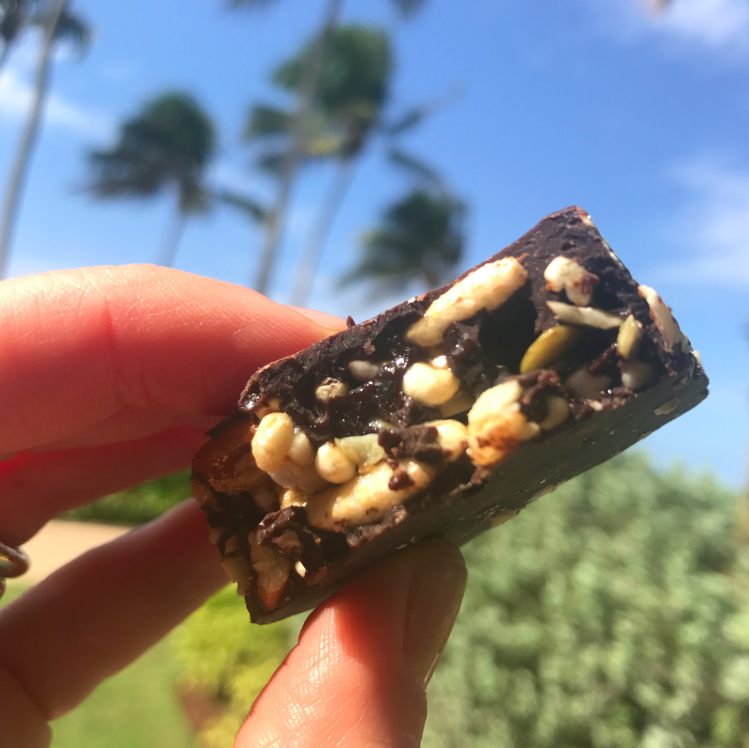 Gluten-free dairy free perfect combination of mixed nuts, grains, puffed seeds and raw chocolate coating in a purest plant base (pea) protein energy bar in raw dark chocolate coating. Caramelized with organic flower honey. 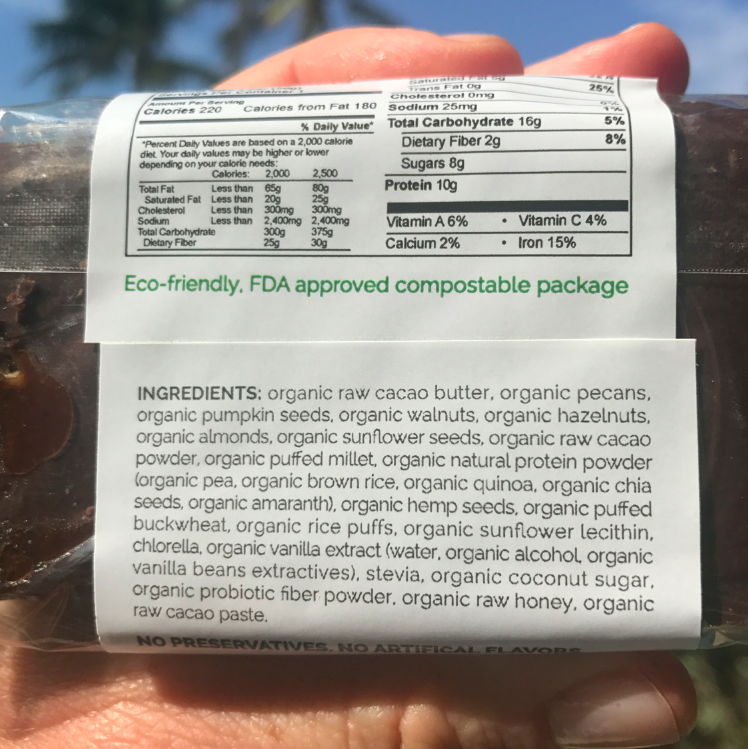 You can order it in cases (they deliver / ship) or you can find them at various stores in NYC, Rye, Westchester, Palm Beach, FL, New Jersey, Los Angeles, CA. 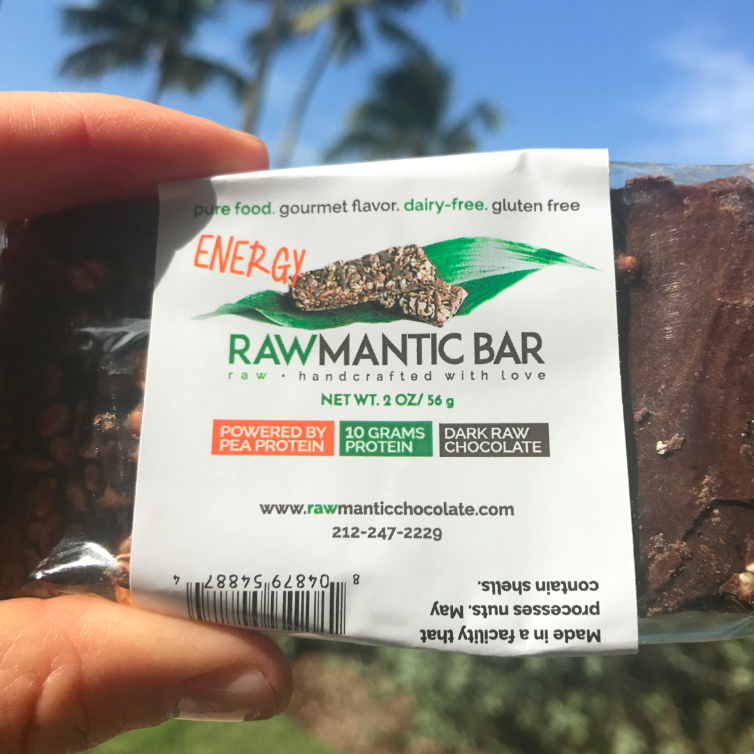 Watch out world, these rawmantic chocolate energy bars are about to become HUGE. I’d like to order 2 cases of the white energy bars. I was just at Hippocrates Health Institute for 3 weeks, they have your bars and I’m addicted. I noticed that their bars say 120 calories and your bars say 220. Do you make their bars for them to cut down on the calories? So confused. I’d like the 120 cal bars if that’s the case. Thank you Maria for contacting Josie, and Josie thank you so much for such kind words in your blog post. Maria the bars you purchased at HHI are exclusively customized for the institute. They are 1 oz and they do have 120 calories with 2 g of sugar. We offer a slightly different version through our website which is 2oz with 220 calories. If you wish to order customized HHI version you can send us a not at info@rawmanticchocolate.com and we will be happy to do it for you. We do ship worldwide.